Will you Adopt or Purchase your new dog from a breeder? If you can, it is recommended to try to adopt a Dachshund (or Dog) from a shelter or a Rescue Center. You can find one at a much lower cost than buying one from a breeder. Purchasing a dachshund from a breeder may be super expensive. It helps to save that extra money for pet supplies and vet bills. See a detailed list of doggie necessities you will need before bringing your new puppy home. Learn how to prepare your home and family for your new four-legged friend. Shelter Adoption or Purchasing from a Breeder? Always do your research when you are ready to adopt your new dog. 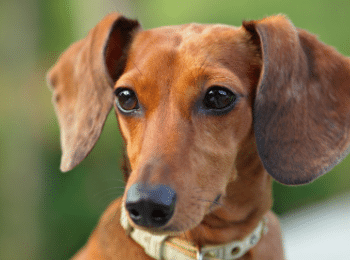 Consider Dachshund rescue centers or shelters before going to a breeder. So many doxies need homes that are still quite young, already house trained, and may be the better option for your family than starting off with a new puppy. Remember, new puppies will require more training and attention than a dog that is a little older. Do Dachshunds make good pets? Yes, Dachshunds make wonderful pets. They are my number one dog of choice for my family. Many of my extended family members over the years have also raised a dachshund. Dachshunds are special members of the family. Any doxie parent knows that raising a dachshund is a unique and cherished experience that they will never forget. No two dachshunds are alike. When I was young, my female dachshund was extremely well behaved and could be left in the house while my family would go on vacation. She just needed someone to stop in a couple of times per day for food, water, let outside, and of course some loving attention. On the other hand, as an adult with my own family, my story is slightly different. My male dachshunds can’t be left alone in my home for more than one hour without getting into some sort of trouble. My doxies do require a kennel when we leave for work and kenneling services when we go on vacation. Now, does this mean males and females are quite different as far as behavior? No, all dachshunds are different and have their own unique personality. Am I Ready to Adopt a Dachshund? 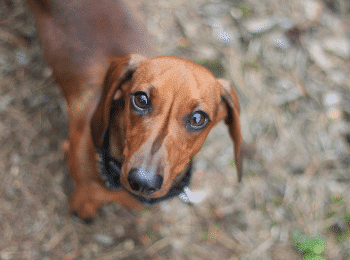 Ask yourself the following questions before adopting any dog, especially a dachshund. Do I have enough money to purchase a dachshund? Can I supply good quality food, pet supplies, and veterinary care? Is my home safe for a dachshund (or dachshund puppy)? Do I have a safe yard with a lead or a fence to protect my dog? Do I have an easy to clean floor in my house where I can train the dog? Can I give this adorable doxie the right amount of attention? Do I mind a dog that will always want to be on my lap when it is tv time? Do I mind a dog that will follow me around the house? Have I researched how to train a dachshund? 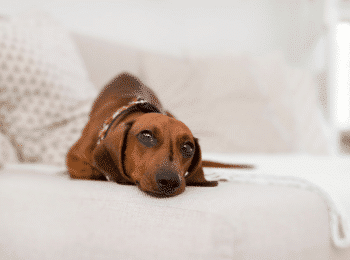 What are certain ailments dachshunds are prone to and how I can prevent them? What Questions Should You Ask a Dog Breeder? How many different breeds do you sell? Avoid breeders who sell too many multiple breeds, it may be more like a puppy mill. The longer the better in my opinion. How often is the dam (mother dachshund) bred? This should be no more than once per year. How old is the dam (mother dachshund)? She should be about 2 years old. Were genetic tests done on the parents (Dam and Sire)? Good breeders should have the parents tested for genetic problems that could pass to their pups. They should have at least one of the parents on premises with the pups. How old is the dachshund puppy? When the puppies are eight weeks of age, they are usually ready to be adopted. 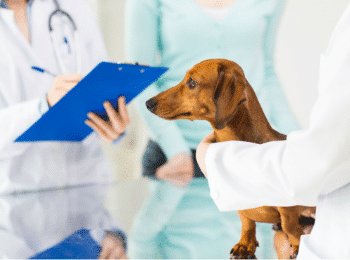 Have the dachshund puppies received their vaccinations? Breeders should already have the puppies first vaccination, usually the combo vaccine called DHLPPC. The puppies generally will receive their first vaccinations every 2-4 weeks until they are about 14 weeks old. Have the puppies been checked for parasites? All of the puppies should be checked for parasites and treated for worms. Most breeders with a good reputation will have a reasonable return policy if there are any health problems with your new puppy. If you happen to bring home a pup that develops a health problem that can be treated by a vet, it is still a good idea to contact the breeder to have the other pups checked just in case. • Was this dog a rescue or did it have a previous owner? No real wrong answer here, just good to know the history of the dog. • Has the dog been examined by a vet? Yes, they should be examined before being adopted. • Has the dog received its vaccines? As long as the dog is old enough, yes, the dog should have received its vaccines. • Has the dog been checked for parasites? All dogs should be checked for parasites and treated for worms. • Does the dog have any known health conditions? Get some information on this dog, it may have some health conditions, it’s better to know as much information as possible. • Is the dog-friendly towards other animals and children? If you have children or other pets at home, this is crucial information. • What is the return policy? Most shelters will have a good return policy in case of any serious issues or health concerns. It is very important to be prepared before the new puppy enters your home. Try to make sure you have done your research and pick up the necessities ahead of time. Stick with glazed food – quality ceramic, glass, or stainless steel dog bowls for the water and dog food. These types of dog bowls are non-porous, resist chewing and can be cleaned easily in the dishwasher. One big feature I like about these heavier bowls is how sturdy they are. Dachshunds love to route around in their food and push their food bowl around the floor. Sometimes, they may try to bury their food under a toy or blanket. So, the heavier the better, less flipping of the bowl. Check out my Article on some Perfect Dog Food Bowls for Dachshunds. Unfortunately, Plastic food bowls are porous and some may emit BPA which can leach into your dog’s food. Plastic bowls are also known to turn a dog’s nose gray, yikes. So, I don’t recommend plastic bowls. If you have a dog that becomes more prone to seizures avoid using aluminum bowls. I have owned many leashes for my 2 dachshunds. The best ones are thicker, tough material that their little scissor back teeth can’t slice through. This literally happened every time we went camping. We were setting up our tent, so we secured the dogs on their leashes on a nearby tree so they wouldn’t wander off into the woods. Literally, before the tent was up, one of the dachshunds were free as a bird wandering around the campsite. One dog would still be secured on a complete leash, the other leash was cut in half. I never actually caught them doing it, so I wasn’t sure if one dog released the other or that dog released himself, it will always be a fun mystery. Another good feature to have on a dog leash is reflectors. When you walk your dog around your neighborhood, it is always best to not only have you wearing bright reflective colors but also your dog. Heaven forbid if you accidentally lost control of your dog and a car couldn’t see them. It is always a good idea to grab a couple of different types of collars for your new dachshund. Some neck collars easily break off when they get their tags stuck. Some you just set down somewhere for the night, forget where it is and need one by the door every time you let them outside. Body collars are a good idea for the dog that loves to pull constantly on their walks. When we take our dachshunds hiking, we have one dachshund who does just fine with his regular neck collar, but the other one pulls so hard that he is coughing and hacking because he just can’t get enough of this awesome walk we are having. Body collars for dogs should be nice and comfortable, plenty of room to grow and not too snug (adjustable). You will need to pick up some puppy or baby gates for your home to protect your stuff and your new pup. Get a couple of individual doorway gates that easily secure to your door frame, for your stairs, and a larger exercise gate for your designated puppy area as well. Choosing the correct kennel is crucial for your dachshund. They will try to get out, so you need to learn how to safely keep them in. It needs to be a comfortable size for the dachshund, imagine its size as an adult, not just as a puppy. A larger kennel that will stay at home and a small travel crate for trips to the vet or vacation is a good idea. For your new pup, start with quality puppy food. 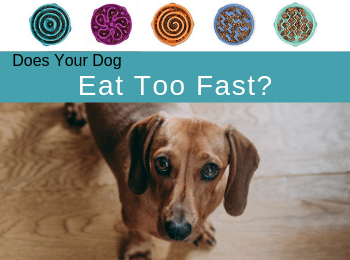 Do your research on what dog foods are best for dachshunds. It is a good idea to discuss options with your local Veterinarian, give them a call to ask what puppy food they recommend. Some vets have awesome advice on dog food. I didn’t have the greatest experience with this. When my dachshund, Reno, was a new pup, they recommended a bag of puppy food that was way too rich for his stomach. Which I found out made him have to poop all of the time! It made it very hard to crate train him with so much mess (which he couldn’t help, it was the food). You want a puppy food that is not the cheapest (cheap ingredients = unhealthy dog) and not the most expensive either (rich, intense ingredients = GI Issues), somewhere right in the middle would be a great place to start. 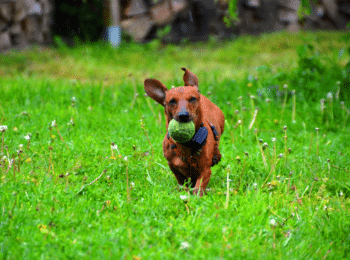 Dachshunds may have a big bark, but they have a small sized mouth, so they need smaller sized toys. Some may love to chase balls, frisbees, chewing a stuffed animal, or chasing squeaker toys. You will learn which toy they love to play fetch with and which ones they love to just demolish on their birthday or Christmas as awesome but very temporary gifts. For that special occasion, take them to Pet Smart or Petco and allow them to choose from a few different types of toys. Give them the option, they will love it. Pick up some puppy pads. You don’t need to go all out right away and get the 100 pack, just get a regular package and start their house training with those for starters. Pick up a nice cushy, cozy bed. Some smaller dachshunds love kitty cubes. My dachshund, Reno, absolutely loved his kitty cube when he was younger. He would rough it up a bit at first, and then, it was his secure doggie den until he grew out of it. Dog beds come in all shapes and sizes, plan on buying a nice one, but nothing too fancy for a new puppy. Anything new for the puppy will get chewed, de-stuffed, peed on, you name it. It also needs to be able to fit in your washing machine for easy cleanup. Don’t go too crazy with your puppy’s new doggie blanket. Just see if you have a spare one in your linen closet you can spare. They love fabric with your scent on it, it will help them feel comforted when they are sleeping on the blanket. Also, plan on this blanket obtaining some holes occasionally when the puppy decides to make it his most recent chewy item. Get a gentle, real ingredient, puppy shampoo. Something hypoallergenic and tearless is best. Oatmeal based puppy shampoos rank higher as far as gentle on puppy, but still effective at cleaning up the dirty pup. Avoid using people shampoo. I know it may seem tempting and just more convenient, but our people shampoo is formulated for our skin and hair, not a dog’s. It will dry out your dachshund’s shiny coat and cause more itchy skin conditions. Ok, so you contacted the breeder, you have asked all of the important questions, you have all of the necessities already purchased and placed in your home, and you have chosen the pup you would like to take home. Great, now its times to start your pup’s new home experience off to a good start. When you pick up your new puppy from the breeder’s house, make sure you have a few things in the car with you for the ride back home. Understand that this pup has never been on a car ride, and it may make him very nervous or car sick. Be prepared with some old towels, plastic bags, and paper towels just in case. If it is a super long drive from the breeder back to your home, make sure you have your pups water and food for those potty break pit stops you take on your way back home. When you pick up your new pup, it is a great idea to take a friend or family member with you for the journey. Not only is it a good way to have your pup get to bond with you but also to get to know other members of the family on the way home. Have someone else drive you and your pup home. It would be very comforting for you to sit in the back seat with a towel or blanket on your lap with your new pup to show them comfort and help them through the car ride. Let the pup sniff out his new surroundings and get to know your family members gradually. Try not to overwhelm the little one too much, take it easy, slow down and just help him get to know you. Make sure to take outside potty breaks often to start that routine right away. It is normal for your new dachshund puppy to naps a couple times per day. He is getting used to his new owners, new surroundings, and new rules of the roost. Give him time, just like a new baby, he is growing and needs to rest. At night, it is up to you if you would like to crate your dog or have their bed in your bedroom. Like a new baby, it is ok to have the puppy in your bedroom or at least close by so that you can hear them cry when they need to go outside. Puppies can’t hold it very long at all when they are so young, so be prepared to get up 2-3 times per night for the first couple of weeks until they are able to hold it longer as they grow. This time will go fast, but it is a good part of the night training to have your dog alert you when they have to go outside, so don’t hesitate, get up, get them right outside. When they have finished going potty, praise them quickly and set them back to bed. Don’t use this time in the middle of the night as a time for attention or play, or that will become a new routine that they will love to help you develop. Puppies are quick learners, make sure you keep consistent with rules so they understand what is an accepted behavior and what is not. The last thing puppies need are different rules from one day to the next or through different owners in the household. This can cause great confusion during the learning process. Click the “Continue Reading” Button for some more puppy proofing tips and getting ready for your new Dachshund Puppy. Great post for those that love puppies, I have always rescued older dogs (mutts) as I prefer it but your list of must haves is very important.as the more you know in advance the easier it is. Thank you Ruth, That is awesome that you adopt older rescue dogs. We need more people like you helping dogs enjoy a good home. Great information all in one place for the first time dog parent. Personally I always advocate for shelter adoption, but for those people who insist on a breeder, thanks for including questions and what to look for to find one that is reputable. It will hopefully cut down on the number of backyard breeders causing terrible animal suffering. Thank you Hindy. I agree, Shelter Adoption should be the first place dog parents should look before adopting a dog. There are so many dogs and puppies that need a good home.